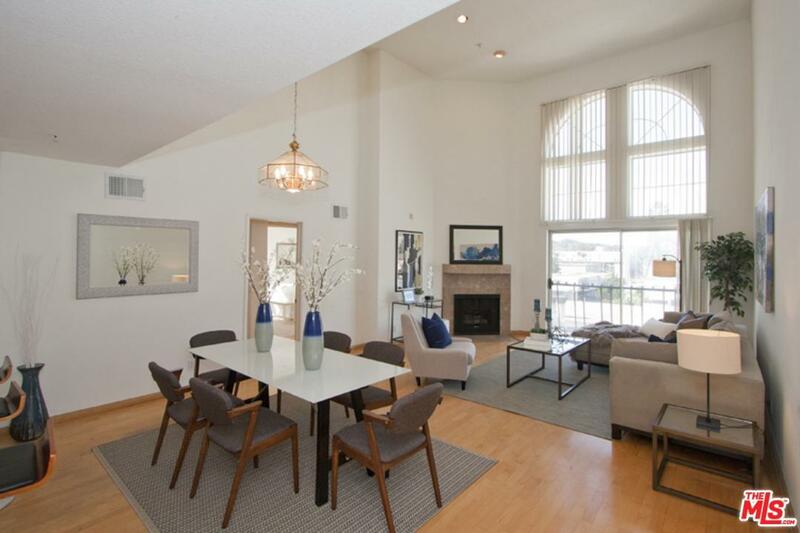 Spacious top floor 2 bed / 2 bath penthouse unit with loft and private rooftop deck, blocks away from Ventura Blvd. with easy freeway access. Living room with high cathedral ceilings, fireplace and terrific natural light. Loft overlooks living room and opens onto south facing roof deck with views of the Studio City hills. Laundry in unit with side by side hookups, 2 full bathrooms. New bedroom carpet, central heat and air, two tandem parking spaces in secured garage, recently renovated pool and spa. Selling Office: Douglas Elliman Of California, Inc.